At HeartStone, we are far more than just your average investment company. As a 3rd generation family run financial services firm, we recognize and act upon the values instilled in us from an early age. We recognize that our success is built upon your success and this is a responsibility we do not take lightly. We put our customers first. With our clients at the forefront of our business relationship, you can count on us to represent you in the most professional manner possible. With that being said, we pride ourselves in being ‘less stuffy’ and ‘more approachable’ to our clients/prospects than your traditional financial planning firm. 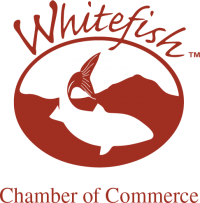 We are Flathead locals who enjoy time outdoors hiking and biking and appreciate forming client relationships that extend beyond business and into each other’s lives. We want to know you and we want you to know us. We offer the same financial services as most firms, but in unique ways. When it comes to wealth management, we believe HeartStone’s ‘manager of managers’ approach is the best way to provide fiduciary advice to our clients. Through investment vehicles such as ETFs, SMAs, and institutionally-priced mutual funds, we are able to meet the needs and objectives of virtually any client. Because we’re paid by you, the client, we are able to remain objective in our work. We operate with discretion, continuously monitoring investment performance and costs within our clients’ accounts. At HeartStone Advisors, we focus on holistic financial planning. Regardless of your age, income, or goals, we will work with you to assess your needs and make an objective plan for your financial future. Frankly, the process can sometimes be as much work for you as it is for us! A full-fledged financial plan involves analyzing your tax return, investments, insurance, and any other pertinent documents you may have for your unique situation. In most cases, the more data you can provide us, the better! As unbiased fiduciaries, we find it best to bring a “manager of managers” mentality to your portfolio. This means that we will scarcely ever suggest individual stocks or bonds for you to purchase. We believe that is the job of the manager – with the manager being any mutual fund, ETF (exchange traded fund) or SMA (separately managed account) manager such as American Funds, Vanguard, or Blackrock. We, as the manager of these managers, analyze and choose from the entire universe of fund managers in an independent and unbiased way by comparing performance, fees, and management tenure with a near-daily cadence. Because we are not compensated by anyone but our clients, we have no obligation to hold on to any underperforming funds. This approach offers us the utmost discernment, flexibility, and accountability when it comes to your investments. You do not have to be rich to responsibly invest. We help all sorts of people, from all sorts of backgrounds, to plan for the future. 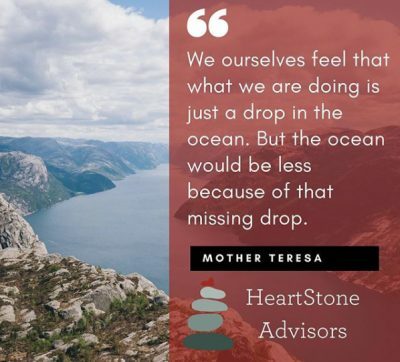 Opposed to traditional brokers, HeartStone Advisors works in a fiduciary capacity for all our clients – whether they be a corporate retirement plan or individual. Our fees are transparent and simple. We only charge an annual fee for assets we manage, no commissions, no sales, no hidden charges. With HearStone Advisors, what you see is what you get. We are investment fiduciaries who specialize in providing independent, unbiased advice at costs that are competitive in today’s heavily scrutinized investment industry. We are a part of your community. We are your neighbor who happen to provide quality fiduciary services to the Flathead Valley in a laid-back, approachable manner. Running a family business such as ours certainly has its difficulties, the Matarazzo family feels it is worth the effort. Our “team” is indivisible. Al and Zach always joke that “when you’re talking to one of us, you’re talking to us both.” We are in constant contact, both in and out of the office, allowing for seamless continuity and service for our clients. Despite our relaxed, customer centric approach, make no mistake about it, we are leaders in the financial industry. Each and every one of our clients can proudly say that we have helped them positively manage their future in some way. Whether you are an individual, small to medium size business owner, or have created your own classification, we are able to meet the needs and objectives of virtually any client. A heart stone is exactly what you might think – a heart-shaped rock or stone. However, for our family, these stones are ingrained in nearly every activity we do. If we’re hiking a trail, you’d best believe that we’re constantly scanning the trailside for heart-shaped rocks. If we’re rafting, we’ll often pull over to scan the shoreline for these beautiful stones. HeartStones are a simple and approachable adventure. Anyone can find one – whether at the top of a high mountain peak or right in your own backyard. We think your financial journey should be the same way – simple, approachable, and maybe even a bit of an adventure to attain your financial goals.